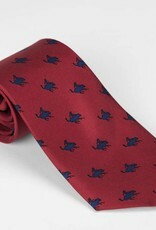 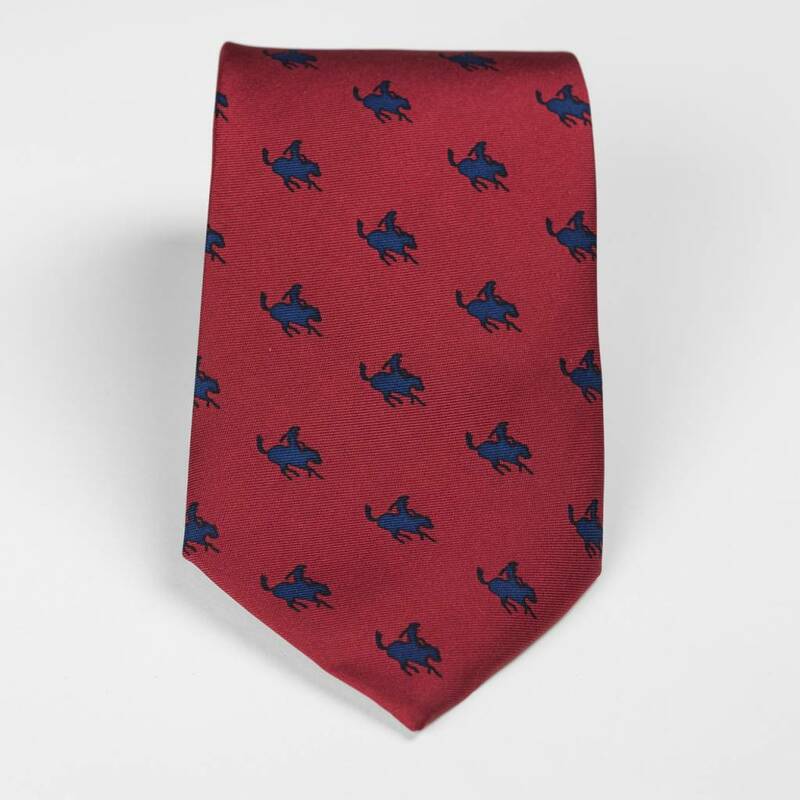 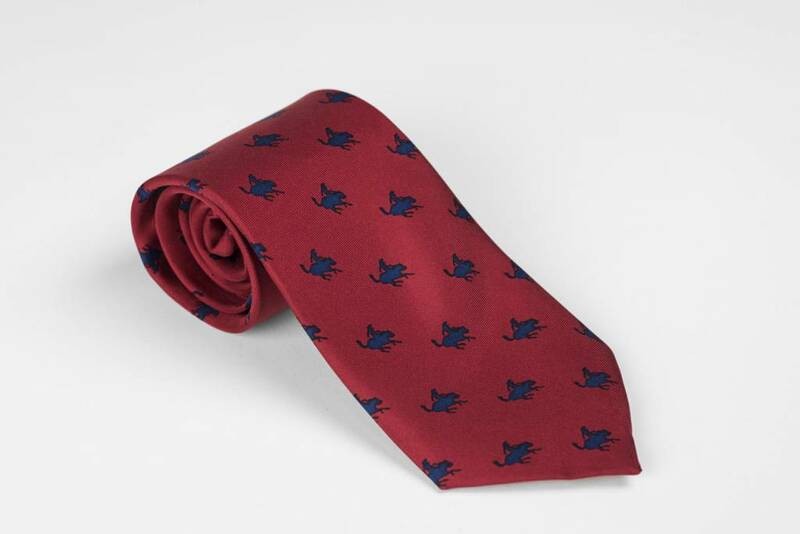 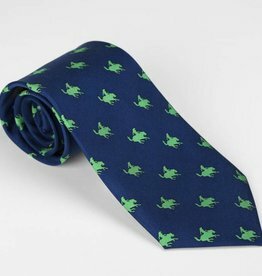 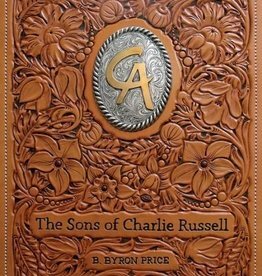 Frederic Remington’s “The Cowboy” inspired this bold tie. 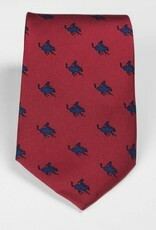 The blue silhouette of the spirited cowboy is repeated across a red background. 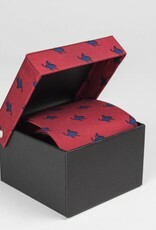 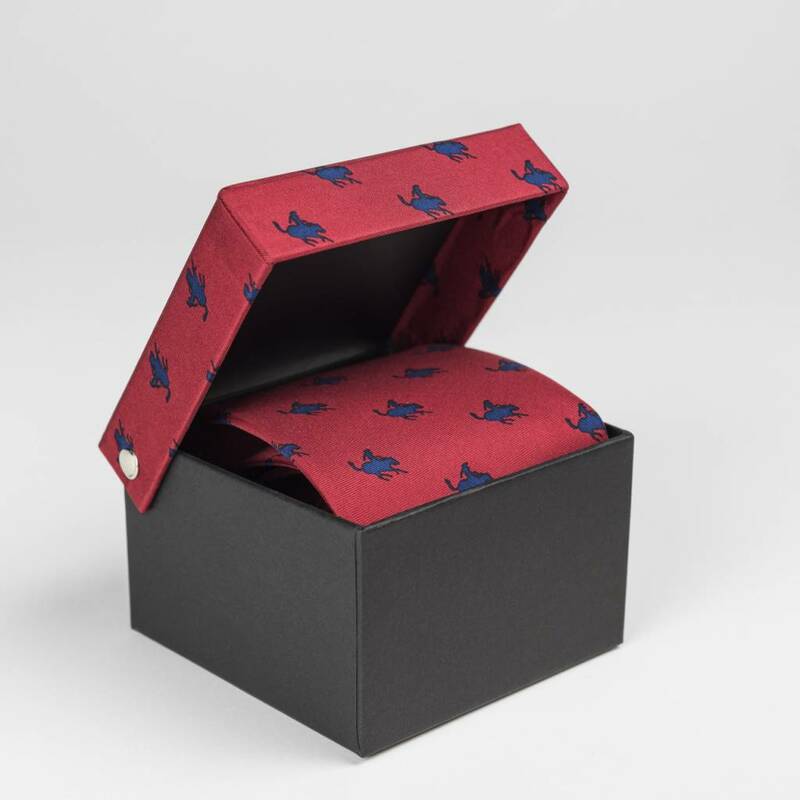 Each tie comes in a matching silk box, perfect for gift giving!